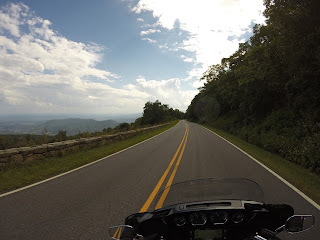 Skyline Drive is a beautiful 109 mile road that begins near the town of Front Royal, Virginia and runs along the top of the Blue Ridge Mountains in Northern Virginia. 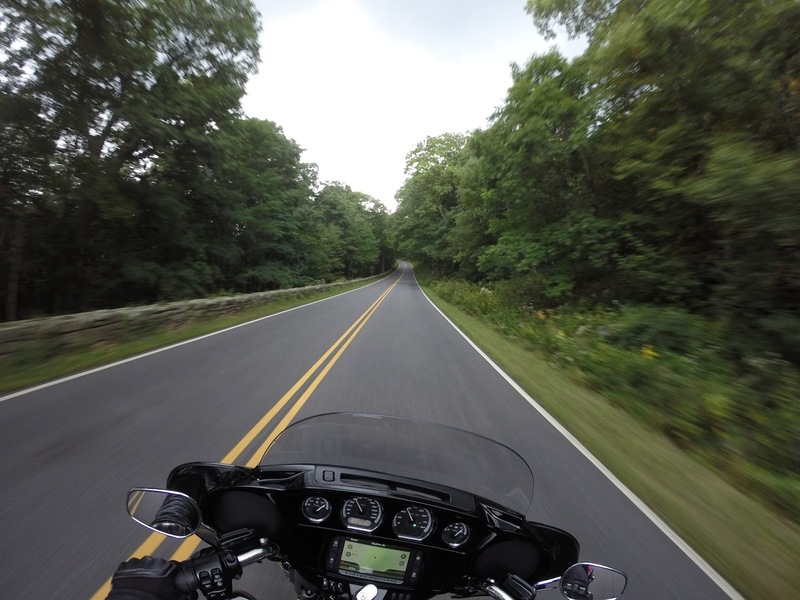 The drive covers the entire length of the Shenandoah National Park and was built between 1931 and 1939. The drive ends near Waynesboro, Virginia and becomes the northern entrance to the Blue Ridge Parkway. 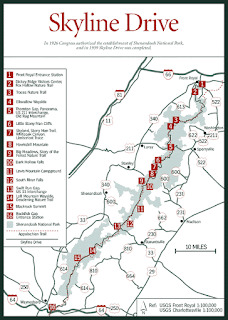 With a speed limit of 35 mph, plan to spend at least 4 hours to complete the full length of Skyline Drive. There are plenty of scenic overlooks that will add more time to your experience. The road is kept in amazing condition and the sights and smells of the forest add to the experience that are only available with a motorcycle (or convertible car). 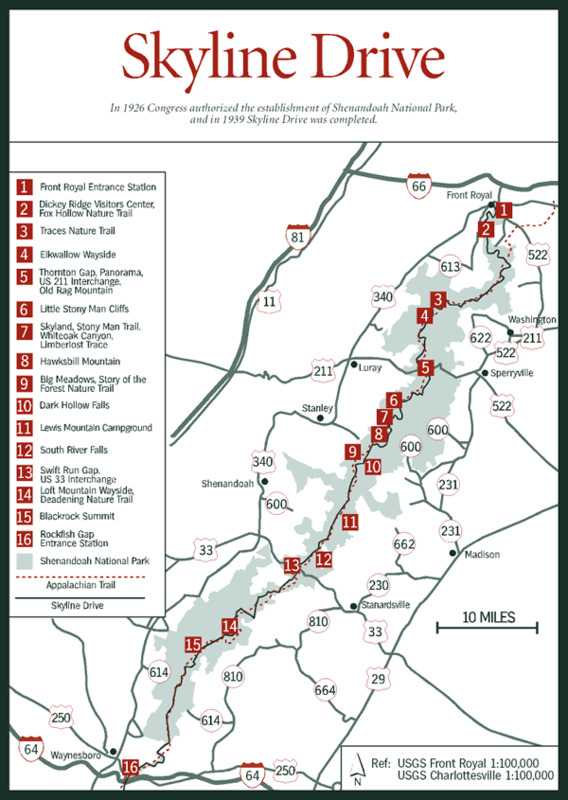 If you get tired of the scenery, there are a few exits off Skyline drive that will take you off the mountain crest and into other areas of Shenandoah National Park.